We’d already worked with Thai Leisure Group to fit out a number of branches of Chaophraya, their original Thai restaurant. We were excited to be invited to work with them again on the new ChaoBaby concept - a smaller, buffet style eatery. Martin and Kim, the owners of Thai Leisure, wanted to bring royal Thai food to UK diners and were keen to achieve a luxurious, authentically Thai feel to their restaurants. The brief was to create sumptuous spaces with theatrical flair. We created open plan kitchens with central cooking islands so diners could see the chefs at work, incorporating beautiful black granite sheets onto the back wall cook-line, and 15-metre open plan granite servery displays. The bespoke bars incorporate sleek white Corian, artfully illuminated glass and marble. The bar frontage has custom-made back-lit layered glass panels, designed to diffuse the light in the cosy bar area. We provided bespoke furniture for ChaoBaby, including free-standing tables and chairs, long and short fixed seating for the tapas and sweet areas, and a variety of bar furniture. The servery counter has a beautiful, hard-wearing granite top, a layered glass frontage running the length of the counter, and a back lighting panel, illuminated from the top down. 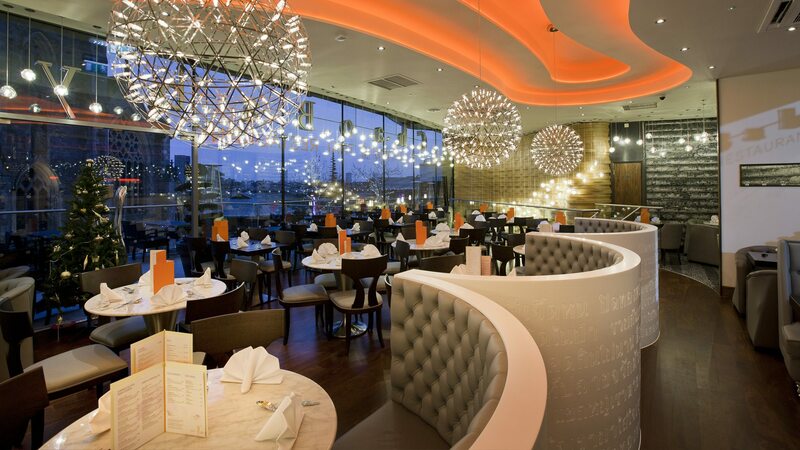 For ChaoBaby Meadowhall, we created and installed a large layered glass Buddah to act as a breathtaking focal point. Paired with the aquarium windows, these authentic touches complete the mood. The theatre kitchens were designed to be efficient, functional and eco-friendly, with induction wok stations, bespoke ventilation, and in-built low energy induction hobs for hot holding. We created bespoke bars from welded stainless steel sections coupled with a seamless bullnose lower counter top, with under-counter refrigeration, glass-washer, dive-in cooler and back bar cooler. The back of house preparation area is filled with an EcoBar -a stainless steel forced air preparation fridge - with a rounded front edge, adjustable legs and adjustable interior shelves, plus precision double door refrigeration.